The evening was just beginning as we walked towards San Carlos City’s central plaza. The sky has still hints of the waning day’s blues and streets were quiet, as quiet as the public cemetery we passed en route to our destination; the San Carlos Borromeo Cathedral. There isn’t much history about the city’s symmetrical cathedral; it wasn’t bombed, it didn’t crumble during an earthquake and it isn’t built of corals or stones like its hundred-year old brethrens. 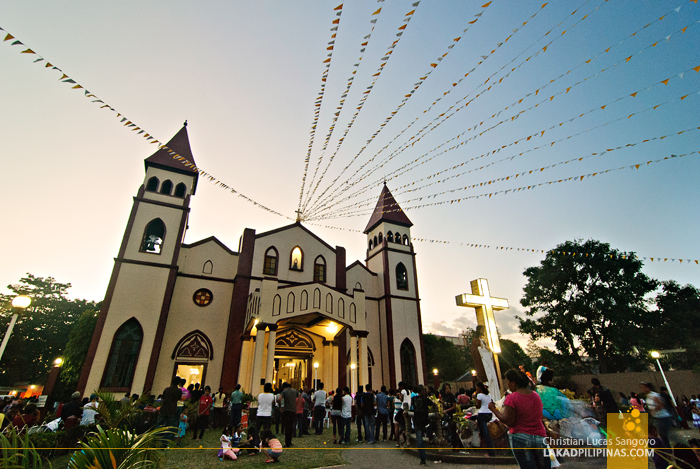 But yes, the parish is more than a hundred years old, taking its humble beginnings from nipas and wooden supports; it rose to its present form thirty seven years later. It was a Sunday and throngs of faithful filled the cathedral to the rafters. We decided to hold off photographing the interiors and focus on something equally interesting outside the church, street food. Vendors line the border between the somber cathedral and the rowdy plaza beyond. 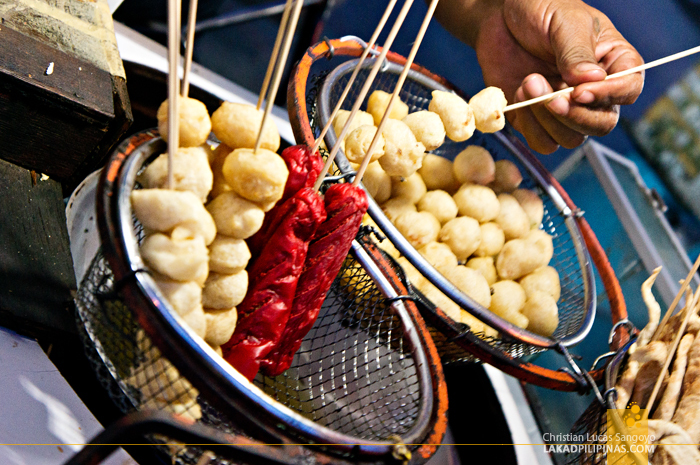 We sampled versions of their home-made fishballs, the usual hotdogs and tempuras. Check your enthusiasm though; they’re not selling expensive Japanese dishes on the street. Their version of a tempura’s more like a kikiam-ish affair, only longer. 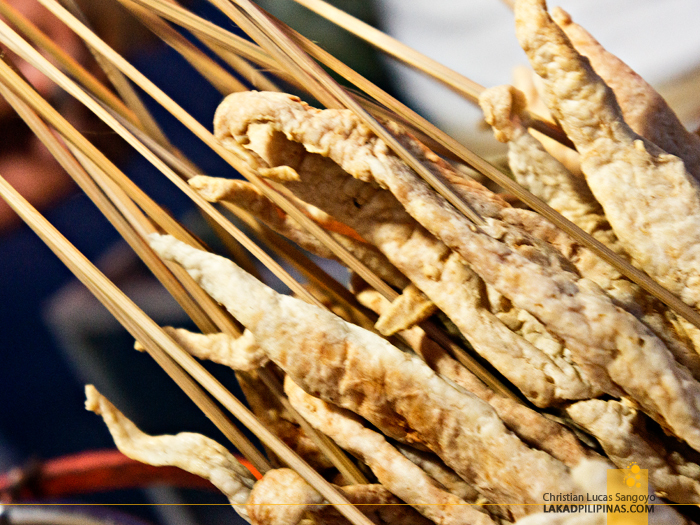 A stick holds only one skewered piece of the said street food. It doesn’t even taste that different from the regular kikiams being sold in the streets of Manila, the difference lie in the dip though, which is freakin’ hot. 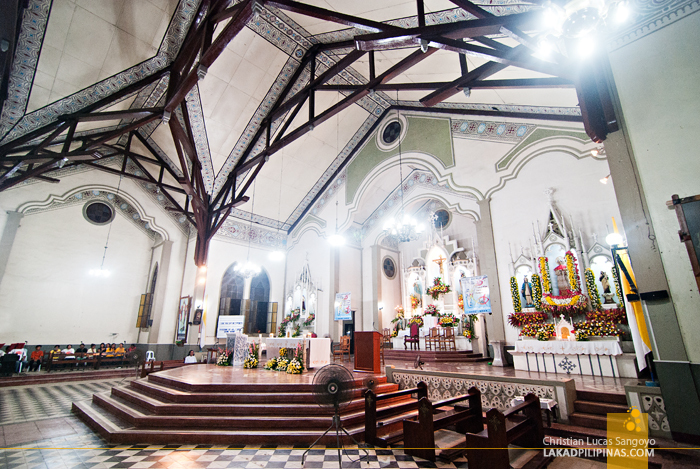 Church hymns rose and melancholic bells rang; the faithful slowly exited the San Carlos Borromeo Cathedral in droves. It was our turn to enter the small town’s house of worship. The church isn’t as grand as most old churches I’ve been to, but it has its own charm. 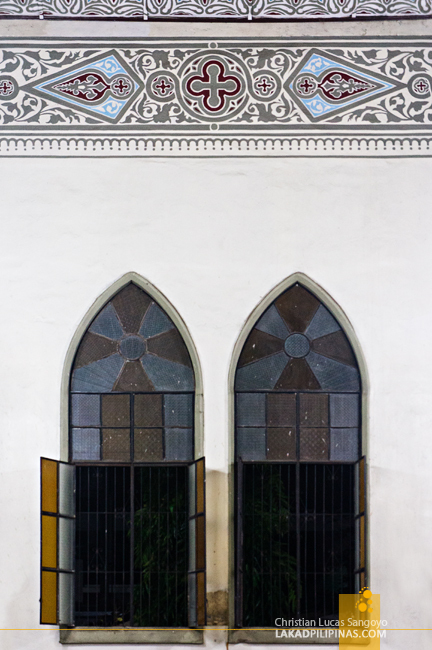 The walls are painted in plain white, embellished only by gothic-styled windows and intricate patterns on its upper parts. The ceiling mirrored its walls in simplicity with its exposed rafters and similarly painted patterns. I revisited the cathedral early the next morning, checking out the assortments being hawked along its avenue. 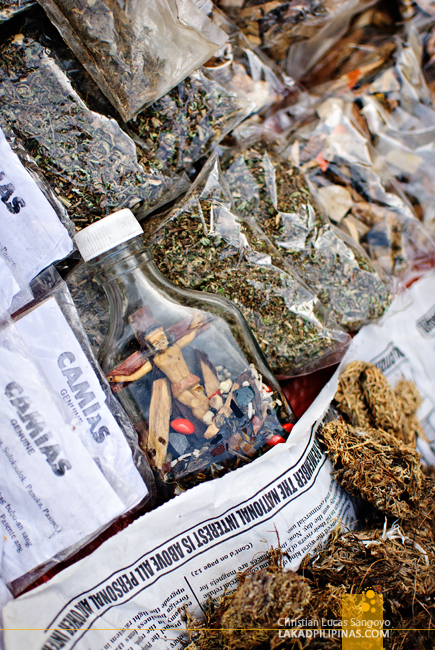 I spotted an old man selling herbs, special stones, crushed leaves, bottled Jesuses, dried animals and other curiosities sitting in front of the church. Amulets and cures for various ailments he said. I nodded my aha before walking towards the cathedral once more. It was a beautiful Monday; the sky was cobalt blue with fluffy clouds blooming on the horizon. 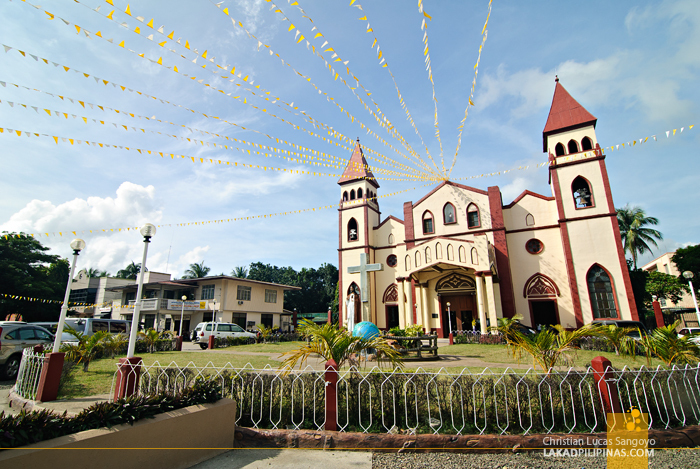 The simple cream and maroon façade of the San Carlos Borromeo Cathedral looked regal under the yellow morning light. It’s as good as any welcome to my first morning in San Carlos City. 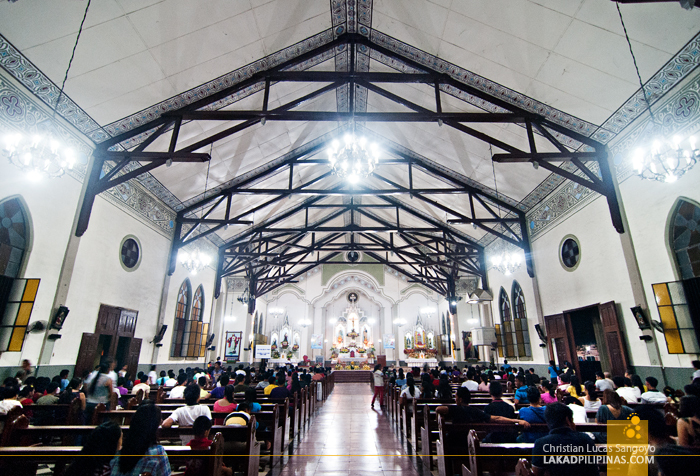 Ang ganda nong interior nang church!